Egg Dosa is healthy, tastes great and packed with a good amount of Carbohydrates and proteins. 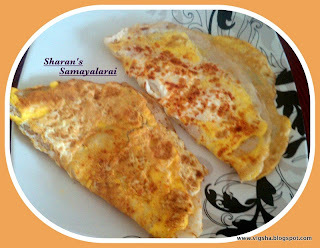 Dosa stuffed with egg and spiced up with flavored powder, certainly a vegetarian delicacy. I used My Mother-in-law's Spicy Idli powder on top, which adds more flavour to the dosa. But you surely can use any other powders of your choice or just use the pepper powder. 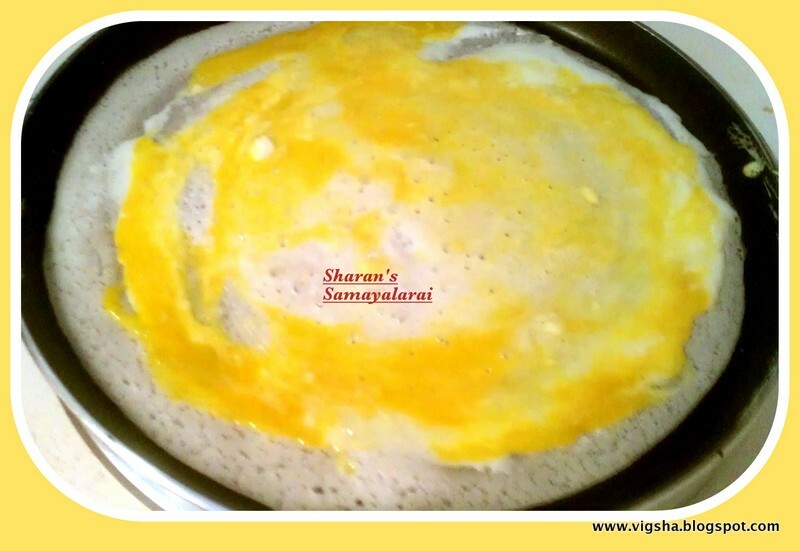 This might not be the traditional way of making Egg Dosa, but this is how I make it. Thanks to my friend Sheeba for introducing this recipe. This is a very quick and tasty recipe. 1). Heat a non-stick pan, pour a ladle full of the batter and spread like normal dosa to a medium thick/thin Dosa. 2). 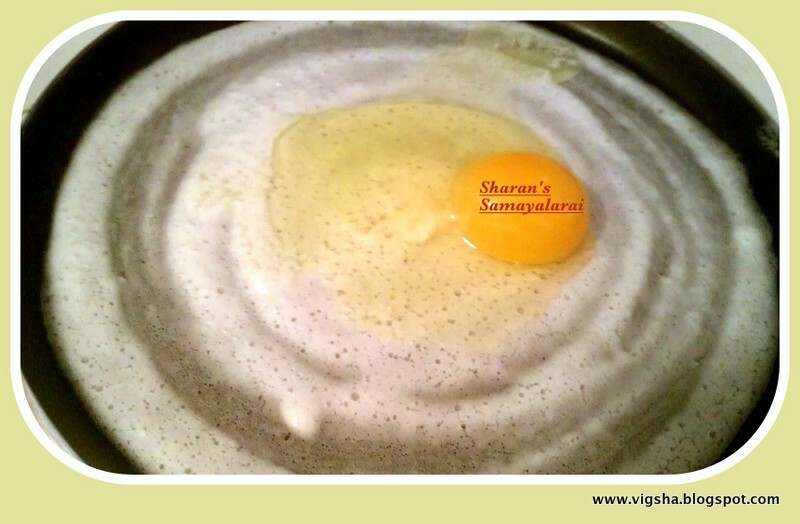 Once the dosa is spread, break one egg at the center of the Dosa ( you can also pour a beaten egg ). 3). Spread it leaving 1 " space from edges. 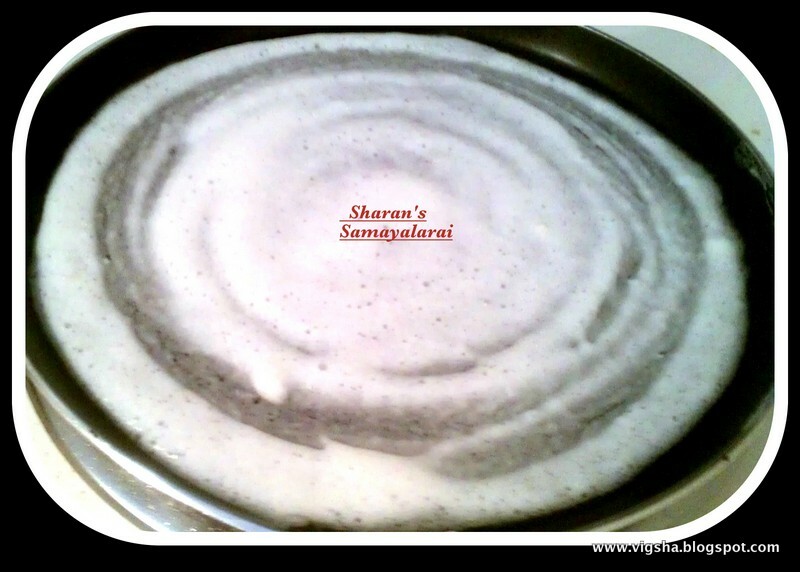 This will form a thin outer crust of Dosa. Let it cook on a low flame. 4). 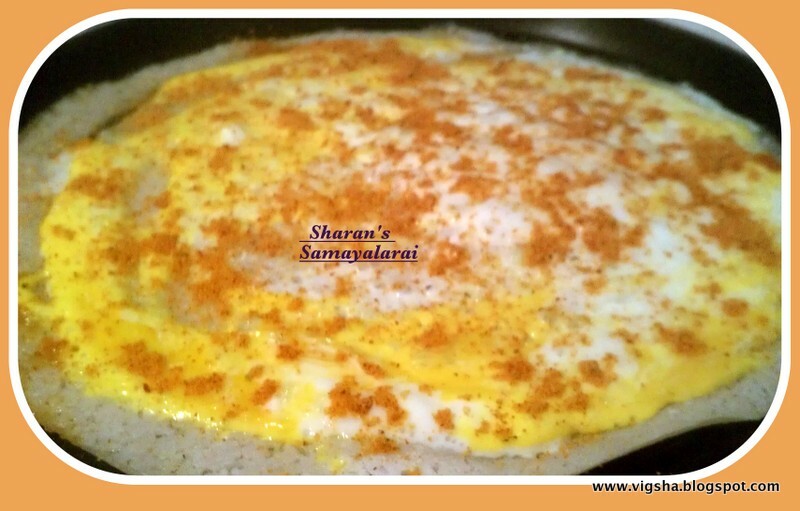 Sprinkle some salt and Idli-powder on the egg. 5). 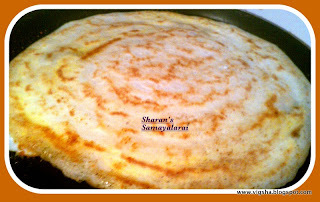 Smear oil around the Dosa. 6). Once the dosa base is done, flip it and let the egg cook properly. 7). 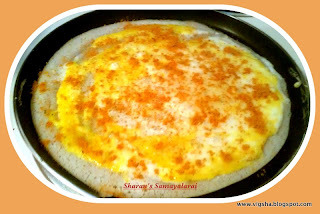 Dosa will turn little brown and crispy, slowly slide the dosa into a plate. This makes a wholesome and filling meal. If the Idli powder is spicy, just serve with plain curd. 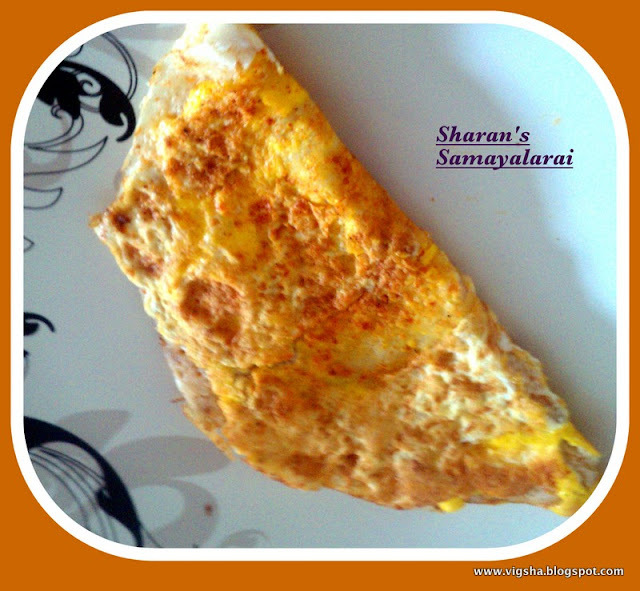 If its not spicy, serve with some spicy chutney. It can also be served with Tomato sauce. Beat Eggs, onions, green chillies, salt and coriander powder. Substitute this step instead of above(step2 and step3). If you are giving to you kids you can try Method-1. You can add Veggies and Cheese into the egg mix(Method2). # For weight watchers or people who are following a low fat diet avoid the Egg yolks and make with Egg whites. # I read somewhere that Women who consumed more choline(a nutrient found in the yolk of the Egg) had a reduced risk of breast cancer. # Store eggs in a refrigerator. This is recommended to avoid Salmonella contamination which can happen whether the shell is broken or not. Came out very well honey..